Raise your Snapchat game with the Spectacles. Broadcast your snaps seamlessly with the Spectacles. 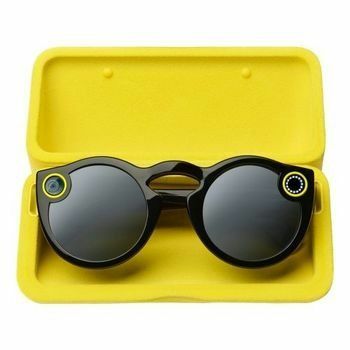 Get your Snap Spectacles with free shipping and the best price ever. Spectacles let you capture the moment from your perspective without having to stop what you are doing. Press the button on Spectacles once to take a ten-second video Snap. Be sure to press down firmly and in the center of the button. A white LED light will appear on the inside of the frame to confirm that recording has begun. This single white LED light will flash when you only have two seconds of recording left. Spectacles outer LED ring illuminates to let friends know you are recording. To stop recording, simply press and hold the button on Spectacles for about two seconds. Spectacles record video Snaps in ten-second segments. Press once on Spectacles button to extend your Snap to 20 seconds and press again to extend to 30. In Memories, your recording will be broken up into three ten-second Snaps. Once you have paired Spectacles with Snapchat on your mobile device, Snaps you take with Spectacles import automatically whenever you open Snapchat and Spectacles are nearby. iPhone 5 and later, running iOS 8 and above. Android devices running Android 4.3 and above with BLE and Wi-Fi Direct.